Do you have $200K or more sitting in the bank, Money Market or CD earning “nothing”? • within 7 business days? Where would you rather have your cash? 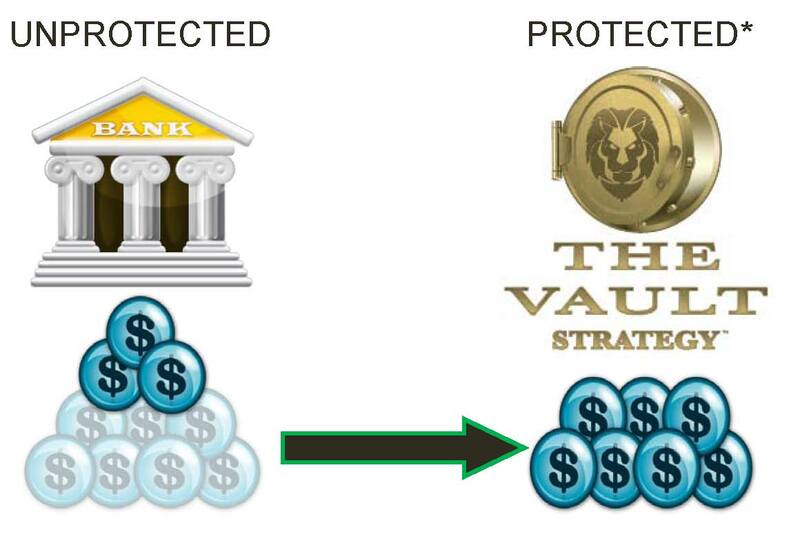 The Vault Strategy involves a variable universal life insurance policy. Investors should consider the investment objectives, risks, charges, and expenses of the variable universal life policy carefully before investing. An investment in a variable universal life policy involves investment risk, including possible loss of principal. The prospectus contains this and other information about the variable universal life policy, and it should be read carefully before investing or sending money.